Paul McCartney's concert was May 2nd, however there were still Paul's concert's seat tag. 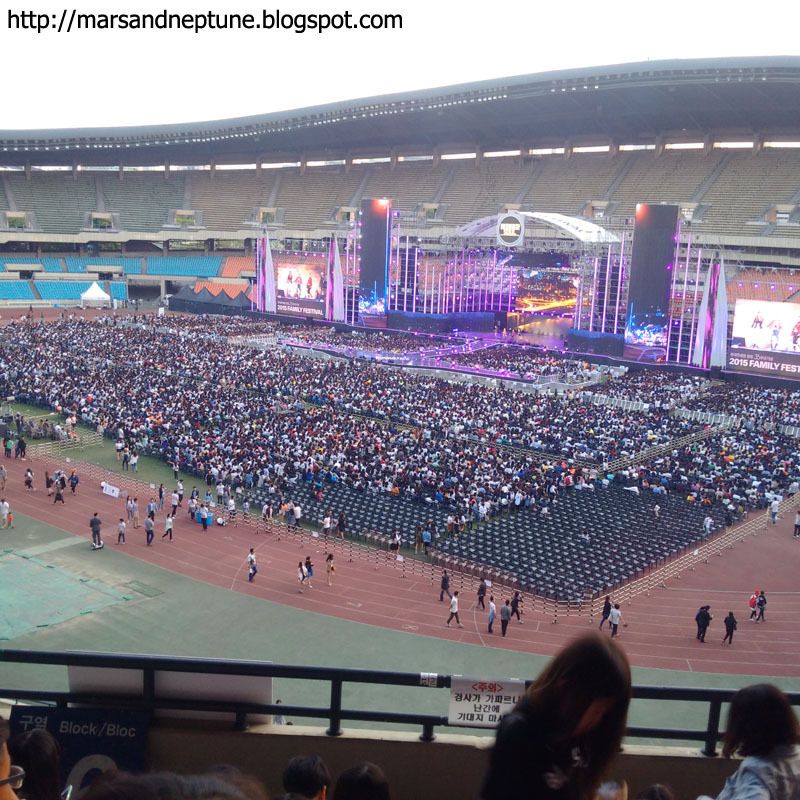 I went to Jamsil Stadium long time ago, however I went to Paul McCartney's concert few weeks ago. It is been a little while. I went to 3rd floor again. When I went to 3rd floor, people sat on the chair already. 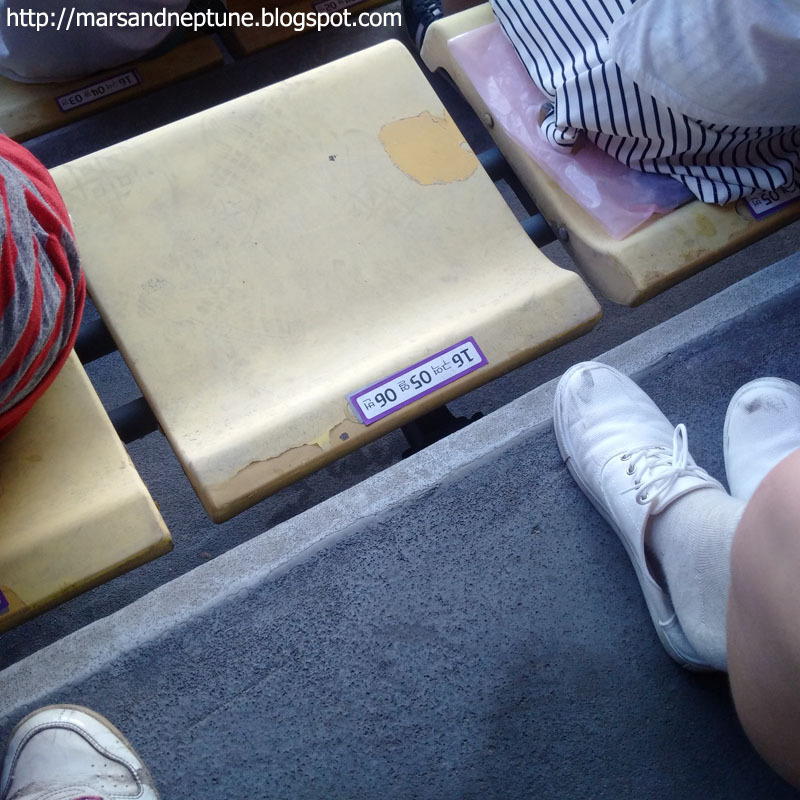 There were still seat mark on the chair for Paul's concert. The seat was so dirty. There are so many Exo fans. When Exo appear, a lot of fans screamed out and I feel scared. I was so far from the stage so I didn't see LCD. Many people said LCD quality is so great. I think the staff saw Paul McCartney's concert LCD. However the sound was rubbish. When Shinhwa say something, I can't recognize sentence and words because the sounds crushed lot. The staff care a lot to the light, composition of the stage and the firework and so on for Shinhwa. I didn't go to the event for a while so I wonder these days the event's quality is so good like that. I worried if there are only few Shinhwa fans however there were many Shinhwa fans on the 2nd and 3rd floor. It is like Shinhwa's mini concert. 공연 관계자들 다 얼마전 폴맥카트니 내한 가서 전광판에 감동 받아 옴?